According to the mainstream media, Occupy is dead. So why are the police taking so many into custody? 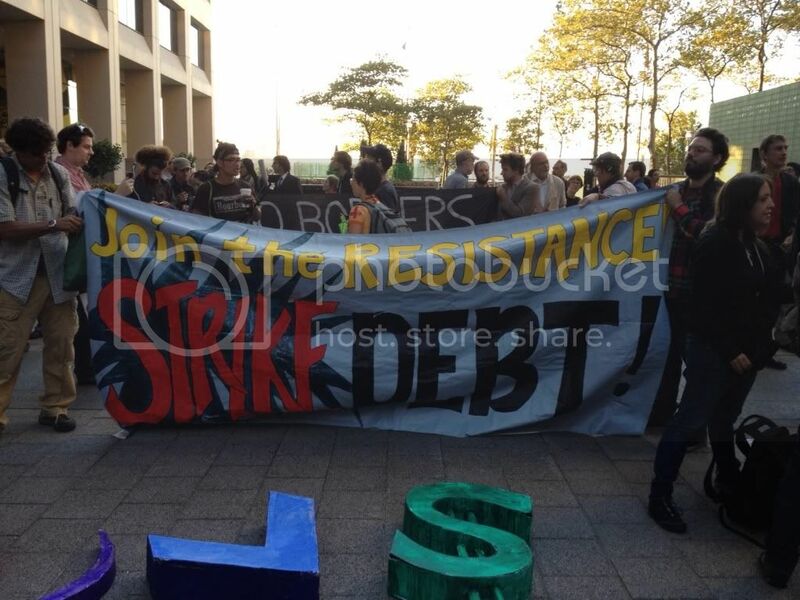 In the early morning hours Monday, Occupy Wall Street activists marked the first anniversary of the movement by protesting in the financial district. 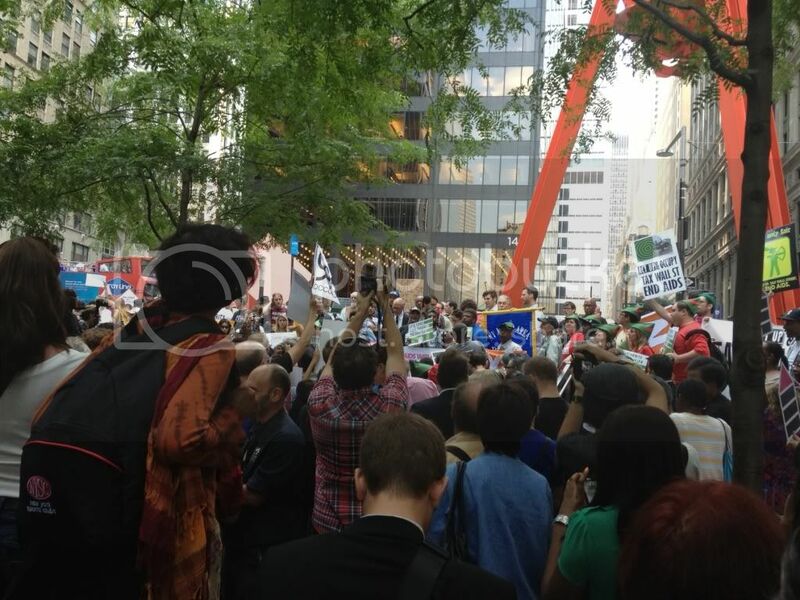 Hundreds gathered on Water Street and hundreds more in Zuccotti Park, the birth place of the movement, before marching through Lower Manhattan, occasionally pausing to occupy intersections and protest financial institutions like Chase and Bank of America. It was one of the largest turnouts since the early days of Occupy, but Monday was also exceptional because of the high arrest figures. More than 180 people, including journalists, were arrested, and in at least some of these cases, the police were arresting individuals arbitrarily and without cause. Protesters reported, and I witnessed firsthand, police dragging individuals off of sidewalks (previously considered the “safe space” of activists who don’t wish to participate in direct action and go to jail) into the street, where they were then arrested. When press attempted to rush forth to photograph these arrests, the police formed a wall and aggressively shoved back journalists, making it difficult to document the actions. “I just got out of jail. 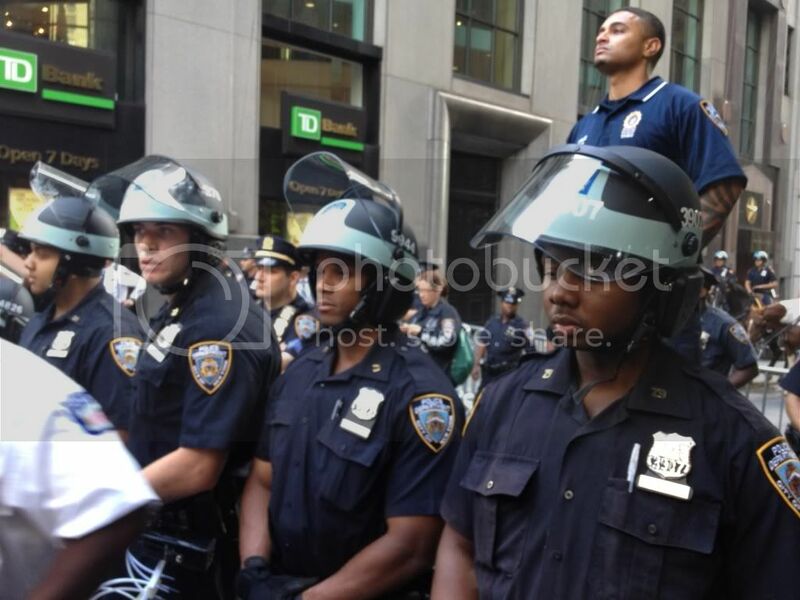 Was arrested despite screaming over and over that I’m a journalist,” Chris Faraone, a Boston Phoenix staff writer, tweeted. As of this report, the National Lawyers Guild estimates that between thirty and fifty protesters are still in custody after yesterday’s actions. Reports emerged almost immediately that the anniversary was a flop, or in the words of the New York Times’s Andrew Ross Sorkin, the event “fizzled,” a diagnosis preordained by a media that has never been particularly friendly to a movement it failed to understand in the first place. Sorkin is a Times financial columnist who first checked out OWS only “after getting a call from the chief executive of a major bank,” who wanted to know how worried he and his CEO buddies should be about the movement. Sorkin dutifully hurried down to Zuccotti. Students are still buried under loan debt. People are still losing their homes. People still can’t afford healthcare, and they still can’t survive on minimum wage jobs. And protesters are quick to point out that it’s only been a year, and the timeline of any social justice movement is long. Perhaps “Occupy” will evolve into a different kind of movement under an entirely different banner, but the spirit that first served as a catalyst lives on. No revolutionary force is without ebb and flows—that is without question—but it’s been interesting to watch the establishment media rush to slap a bow on the “Occupy story” and force a “The End” onto the movement. There is a borderline obsession in the media with numbers, as though there’s a direct correlation between protester turnout and the “seriousness” of a protest—as though small groups of highly dedicated individuals haven’t inspired real, lasting change in the past. No one can predict the future of Occupy Wall Street, though organizers, who are mindful of the media’s desire to slap “DEATH” before its name, attempted to show they have a game plan for September 18 and beyond. For example, many protesters continue to work in the student debt and home foreclosure movements. 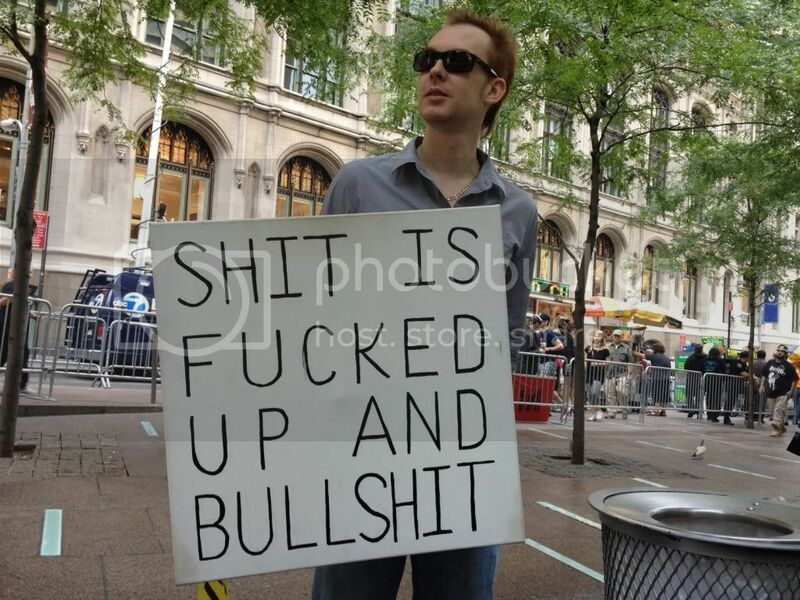 It’s telling that the “Occupy is dead” narrative never bothers to explore the reasons beyond why the oxygen was sucked out of what appeared to be, at the time, an unstoppable force like OWS. The same individuals rushing to declare Occupy dead never explore the systemic presence of severe police brutality that constantly sought to crush the movement, and ask if, perhaps, that is why the movement is a “shadow” of its former self. This omission is made all the more odious by the fact that many journalists had their rights violated by police all across the country, but most recently yesterday by the NYPD. The important takeaway is: no mainstream media outlet predicted the significance of September 17, 2011. Not a single one. 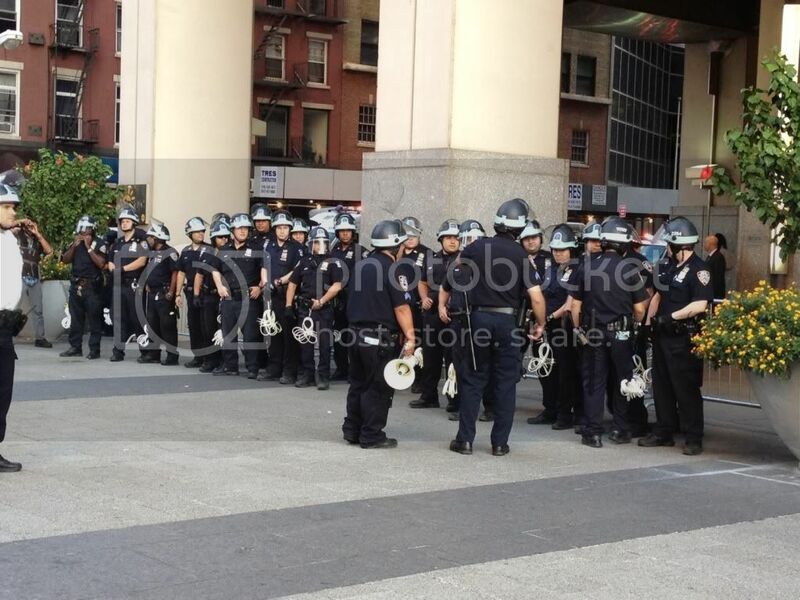 Yet, the same crew seems all too eager to predict Occupy’s future. Those predictions—all of them—need to be judged with that fact taken in mind. Illustrator Molly Crabapple was one of the many arrested at yesterday’s protests. Check out her coverage of the event, in drawings.